When you want to find Chrysler Dealerships Indiana, do you have a place in mind? Do you want a dealership that has new, used and certified pre-owned vehicles? If so, come and see us here at Acra Auto. Whether you want a brand new car, or you are looking for something on a budget, you can find it here at our dealership. We have many makes and models of cars in a variety of styles, colors, features, and prices, so it's up to you what you want, and we are here to help you find it! If you already have a particular vehicle in mind, come by and talk to us. Our sales team are professional, courteous and knowledgeable, and can help you find a car that you want, at a price that you can afford, especially if you are on a budget. If you want a particular make/model or you have a specific amount you need to stay within, our sales team can help you find the right car that has the features you want, and that stays within your budget. Do you want to find Columbus chrysler dealerships? Here at Acra Auto, we have many chrysler vehicles in which you can see, and make a choice. Our vast selection of cars, trucks, and minivans is fantastic, and we are confident that you will find the vehicle you want. Are you looking for minivans for sale? 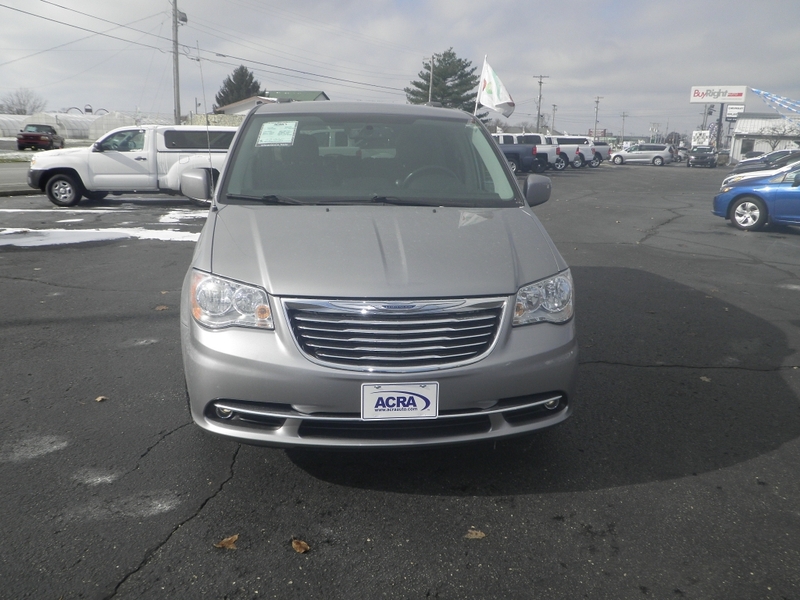 If you are, then come by and take a look at a 2016 Chrysler Town and County that we currently have for sale here at Acra Auto. In this minivan, you will find a lot of fantastic features and options which are sure to be pleasing when you see it in person. With features such as Heated Leather Seats, you can have extra comfort and warmth that you may require on those cold winter days. If you like to have different forms of entertainment, you will enjoy having a CD Player as well as a DVD Player so the kids/teens or anyone riding in your nice spacious minivan, can have a load of fun while traveling. Other desirable options you have are a third-row seat, AC, Cruise Control, Bluetooth, Power Windows, Power Door Locks, Backup Camera, Power Lift tailgate, a Roof Luggage Rack and many other options and features that you will love. 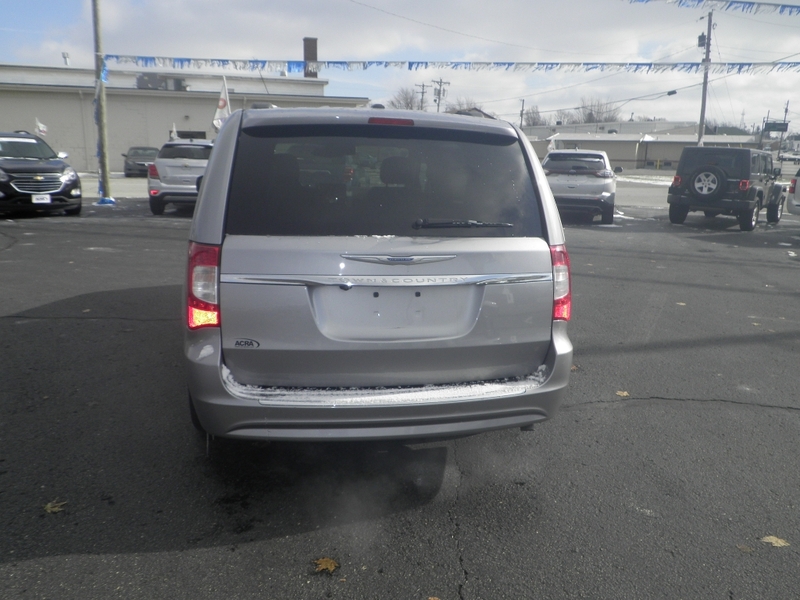 So come by and take a look at this 2016 Town and Country if you want to find minivans for sale near you, and see if it fits your lifestyle. Finding the right car for you can be a challenge if you dont have the right dealership, but when you have a dealership like Acra Auto where you will find many makes and models for you to choose from and prices that are affordable then its a win-win for everyone. So, stop by our dealership today and let us help you with finding the perfect car for you at a price that you will love. We look forward to seeing you here at Acra Auto.